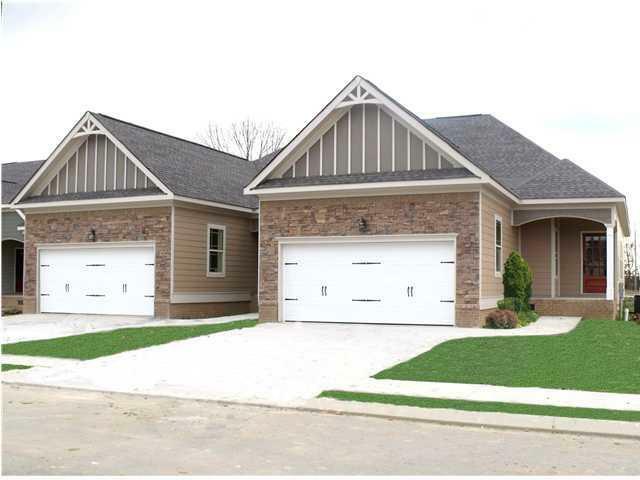 Wonderful gated community in Ooltewah. This low maintenance living townhome offers 2 bedrooms & 2 full baths approximately 1,350 square feet. Home contains hardwood floors in main living area and carpets in the bedrooms. Master is large with Trey ceilings and own master bath. Master bath contains his and her vanities , walkin closet and large ceramic tile stand up shower. There is a 2 car garage, fenced back yard, nice back deck and much more.